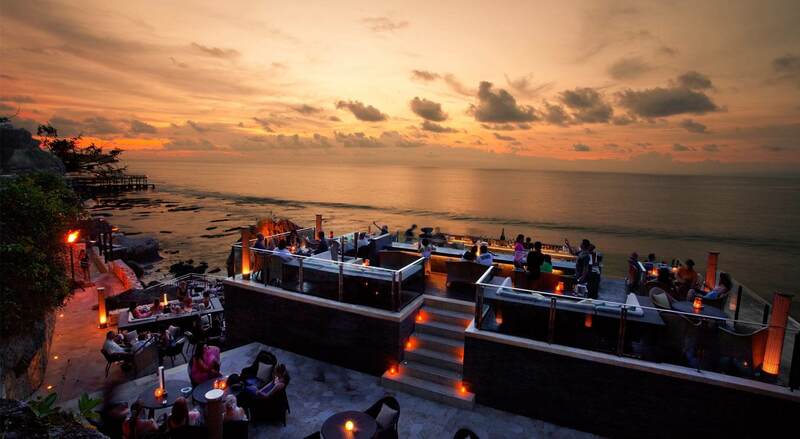 Bali is famous for it’s incredible beach clubs and sizzling nightlife. Are you visiting Bali this Summer? Well you definitely should, and if you are desperate for an amazing beach experience, you just have check out my list of favorite Bali hot spots. You can thank me later, yeah yeah! Potato Head Beach Club located in the area of upscale Seminyak is the hot spot everyone just has to visit when you’re on the island. Potato Head is a must, even if its just to admire it’s amazing architecture. 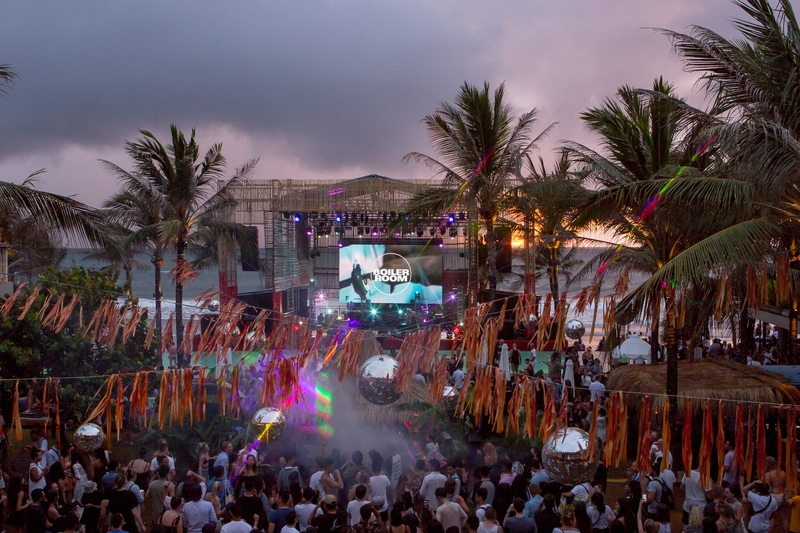 The beachfront bar and 500-square meter emerald lawn leading to an infinity pool is all housed inside a state-of-the-art amphitheater.Potato Headis one of the trendiest and upscale spots in Bali and truly won’t disappoint. Dining is an unforgettable experience as they serve Indonesian and Western dishes that are top of the line. Potato Head is famous for their incredible cocktails mixed or stirred by the most skilled mixologists. After a dazzling sunset, the party starts when resident and international DJs spin their tunes well into the morning. 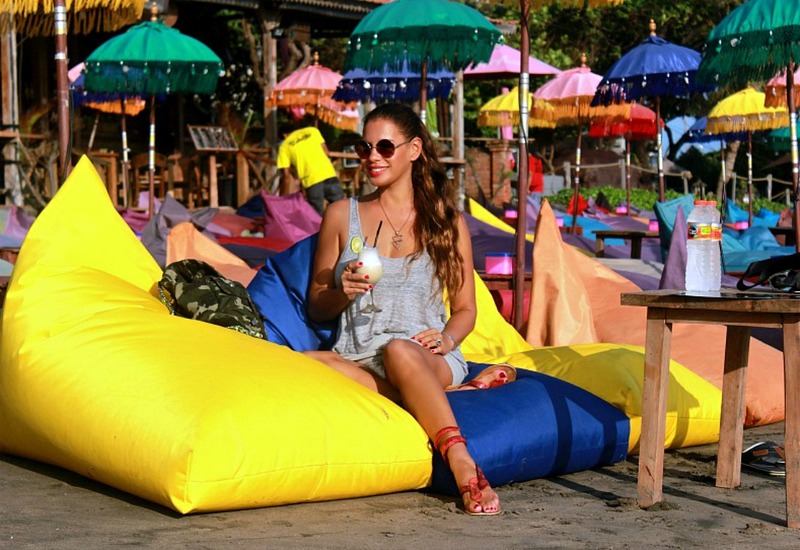 Head over to the ultra cool hot spot Finns Beach Club in surfer area Canggu. Imagine lounging on a luxurious daybed, sipping your favorite cocktails while gazing over the Indian ocean while listening to their chilled beach tunes. Get your tan on and cool off while taking a dip into their luscious pool. 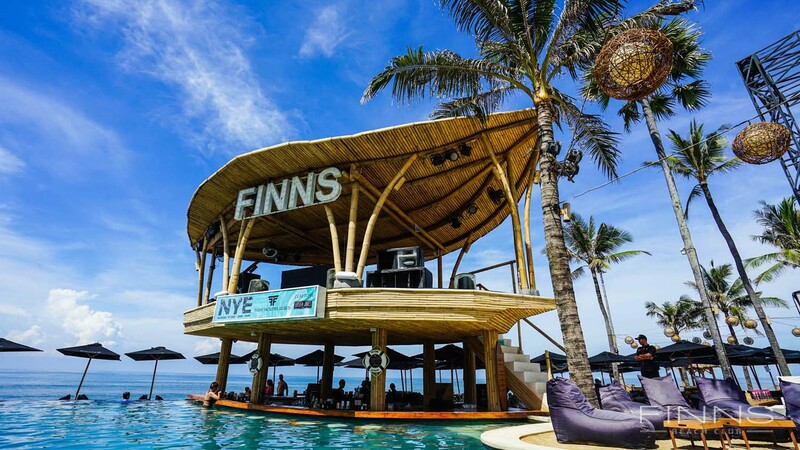 Finns Beach Club is the trendy place to be in Canggu. 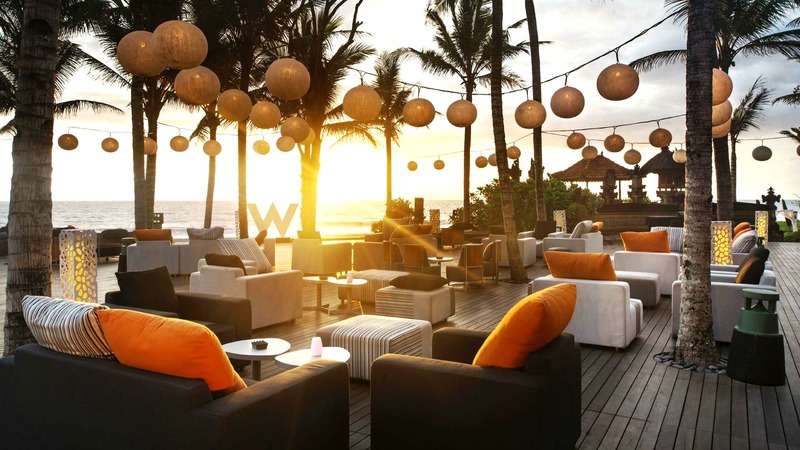 WooBar is the ultimate-chic and classy beach hang-out at the famous W hotel & Spa in Seminyak. Emiel and I went for a few scrumptious cocktails and found them delicious. Overlooking the sparkling Indian Ocean, Woobar’s cosmopolitan vibe will make you feel like you could be anywhere in the world. At night this alluring spot will transform into a vibrant nightlife venue with resident and international DJs spinning the most chill tunes and taking Woobarto another level that you won’t be able to forget. I think it’s safe to say you will be coming back for more! Do you want to hide away from the commercial crowd and love to be spoiled and pampered while enjoying the most outstanding service? 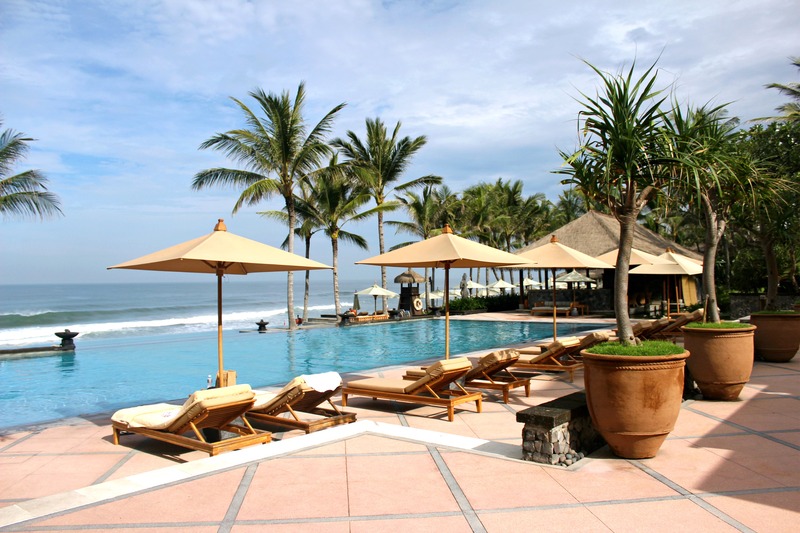 The Legian Bali is the place to totally unwind and enjoy a day in the sun. Swim a few laps in one of their three large infinity pools and enjoy delicious comfort bites, cocktails, and fine wines. At night it becomes a softly lit space where friends and lovers can enjoy each others company. The Legian serves an exquisite dining experience with a magical view of the ocean, while you can listen to live piano playing. It’s so dreamy! 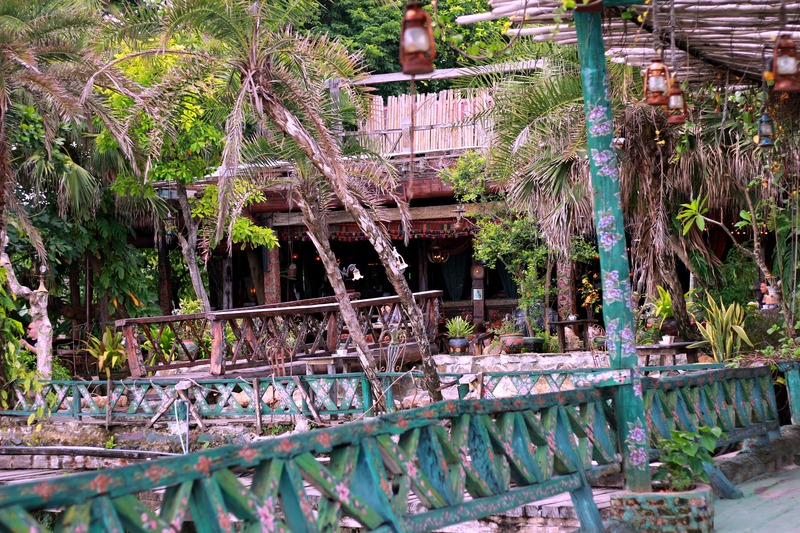 One of the most Instagrammable spots in Bali is the spectacular La Laguna in Canggu. From the moment you enter this Spanish themed, boho-chic, gypsy- inspired beach club you are transported to a mystical and stunning world like no other. Add delicious bites and the best cocktails in town and you are in for an amazing visual adventure. Let me know if you happen to swing by any of my favorite picks. I would love to hear your thoughts. Thanks for reading everyone! "It’s All About Red – Amsterdam Fashion Week"